David Bowie’s final album, “Blackstar”, led a resurgence in vinyl album sales across the UK in 2016, according to a year-end report from the British Phonographic Industry (BPI). 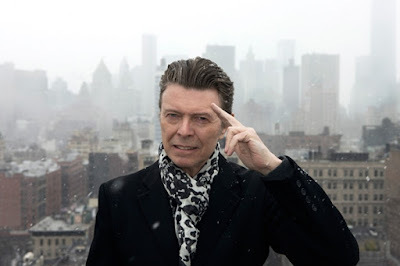 Released on his 69th birthday and just two days before his passing from liver cancer on January 10, Bowie’s 25th studio record topped The Official Charts Company’s year-end sales list ahead of Amy Winehouse’s “Back To Black” and classic albums by Fleetwood Mac (“Rumours”), The Stone Roses (self-titled), The Beatles (“Sgt. Pepper’s Lonely Hearts Club Band”) and Nirvana (“Nevermind”). With five albums in the Top 30, Bowie helped the UK vinyl market see its biggest sales since 1991 with over 3.2 million LPs sold – a 53 per cent rise from 2015 and a ninth consecutive year of growth. A niche format that accounts for nearly 5% of overall music sales, the depth of the vinyl revival is illustrated by the fact that over 30 titles sold more than 10,000 copies in 2016, compared to just 10 in 2015. “Growth in UK music consumption in 2016 was fuelled by the explosive rise in audio streaming, which has increased 500 per cent since 2013, and relative resilience from physical formats,” says Geoff Taylor, Chief Executive BPI & BRIT Awards. “Led by sales of David Bowie, demand for vinyl jumped to levels not seen since the start of the Nineties, and fans also bought and collected music on CD that they are discovering and enjoying through streaming services in ever larger numbers. “Blackstar” debuted at No. 1 on the UK charts in January and, following the singer’s death, a total of 10 Bowie records landed in the Top 40 and 19 in the Top 100.